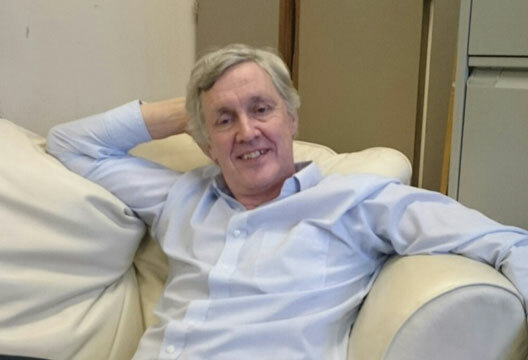 We sent Debbie Gordon, Assistant to the Managing Editor and who has been diagnosed with dyslexia, to talk to Professor Rod Nicolson (University of Sheffield) about his approach. Let’s talk about ‘positive dyslexia’, where does that idea come from? It became clear to me, in the early 1990s, that branding dyslexia as a disability was not the way to go. That particular approach had run out of steam – I had come across a lot of dyslexic adults and they were not getting any benefits from it at all. Although the DDA should apply to dyslexia in the workplace, you have to be pretty robust to declare it at interview. It’s been known for many years from the work of people like Tom West that there are some dyslexic people who have fantastic strengths in visualisation and creativity, and there is a dyslexia ‘hall of fame’ where such people are paraded. But of course it might be that they had those strengths anyway, and they also happen to be dyslexic, and for every one person who shows fantastic strengths there could be thousands who fail, and get into dead end jobs, offending and everything else. So it has always been controversial whether the strengths that are being found are characteristic of dyslexic people or not, and indeed the literature tends to suggest that it is difficult to find characteristic strengths. Our first effort, with my PhD student Sara Agahi, was about dyslexic adults… school is not a place where dyslexic people develop their strengths, they are forced to work with their weaknesses. But when you get out, to university and beyond, that is where the strengths can come. And so we found a range of strengths, and I categorised them into work, mental and social strengths. In terms of work strengths, there was resilience, proactivity (you need to plan to get things done on time more), and flexible coping. If things have not gone well, finding a solution to it. This seemed to be something that dyslexic people were really good at, arguably through experience of on-the-spot coping. The mental strengths are more well established in the literature, so ‘big picture thinking’: being able to see the wood for the trees is absolutely crucial for any form of planning; creativity and innovation; and communication, where you’re able to explain things to people in terms they understand. The third pillar is more unusual I think – the social strengths. Empathy, obviously acquired through experience. A dyslexic person can see very early on that there are huge individual differences in the way people do things, not least in terms of reading, so you quickly see people as individuals. You also become good at seeing what people are good at. If you are dyslexic at school, it is very useful to be able to identify people who can support you. And that leads into the teamwork. Because most people build a team of clones of themselves, which means that all of their strengths are slightly increased, but all of their weaknesses are hugely magnified. Underpinning all those is the tenth strength, what I call the capstone strength, and that’s unconventional thinking. Doing things from a different perspective. Why is there so little research evidence for strengths, compared to weaknesses? First, all the money to drive the research has been in the United States, and that has come from the educational perspective. The educationalists are very concerned about the reading and the arithmetic, so that has been the driver for the research. And second, research has been equivocal because tests, for example of creativity, have not always been grounded in the problems people with dyslexia are confronting. It’s when you do the qualitative stuff with an individual you can really see where there strengths lie. When you try to get the population stuff it just washes out, but that doesn’t mean there aren’t strengths, it just means that the strengths are related to the experience. Are the strengths the same across cultures, even though, for example, the neurological deficits of Chinese dyslexics seem to be very different from in Western cultures? It’s very difficult to be sure. In the English-speaking world, the orthography and phonology of the language are killers, so the problems will show up very early. In the German language, much more transparent and regular, children might learn to read perfectly well, but slowly. Chinese dyslexics, that’s a different language system altogether, a picture-based one. So overall there will be similarities, but there will also be differences. There are clear parallels between your approach and a strengths-based approach to autism. Do you think some of those diagnosed with either condition could find these approaches frustrating if they don’t reflect their day-to-day experiences? The underlying question is whether you can get by without looking at your weaknesses. In dyslexia, almost all the work is on weaknesses, so positive dyslexia is the antidote, the other side of the coin. I’m not so sure about autism… you do need to work on your weaknesses, for example the socialisation issues, so that you get through to a position to use your strengths, so an approach based entirely on either strengths or weaknesses is not sufficient by itself. You need a blend. When you show the ‘dyslexia hall of fame’, the child may say ‘Well, I don’t have any of those strengths, so I have all the weaknesses’. But everyone has their own personal strengths, whether they’re world-leading or not, so the mantra is ‘Find your own personal best strengths, and try to develop those and live your life by those’. It’s a very inclusive and non-directive approach. I fully appreciate, though, that if you’re there at the age of eight, really struggling with lots of phonology practice that you’re not very good at, and doing books that are at a very low level compared to those of your mates, then the idea of strengths can seem so far away. I do think the ‘hall of fame’ is a really good idea, and if someone had sat me down and gone through that when I was at school, it would have been amazing for me, it would have really encouraged me. I’m not sure it would have helped my mum though. I’ve tried to address that in my book [Positive Dyslexia, 2015, Rodin Books]– what can be done at different ages. In my view, one of the key opportunities for children with dyslexia – and others – is apps. To give you targeted practice with immediate feedback in an enjoyable format. Everybody needs to build things from within, you can’t learn things in an organic form unless it’s building on what you know already. When you’re learning to read, that letter ‘A’, it’s not an object, it’s a two-dimensional representation, and that’s really quite a bizarre concept for a young learner. Then the fact that the bizarre two-dimensional concept actually has a sound associated with it, which is even more strange. A lot of children, dyslexic or not, have difficulty with that. But that can actually be ‘scaffolded’, by having apps which make this straightforward. How to actually draw that letter, again you can do that on a touch-sensitive tablet. So all these skills can be learned without making mistakes, and I’m convinced that’s the way forward – that you make sure children learn without trauma, without those toxic learning experiences. The apps transform the playing field. In fact, technology can help everywhere. Apps can give you personalised stuff, software can spell check for you, you can organise your time and groups of dyslexic people can interact a lot more effectively. The world is actually getting to the stage where dyslexia is going to be perceived as not a disability at all. So to what extent is dyslexia currently socially constructed, only disabling due to the way we educate our children and work in our society? It has been socially constructed as a disability, deliberately, because that is the way that one can release the funds for support, and raise the profile. It is also, unfortunately, educationally constructed, because of the clear need for children to learn to read, because so much more information is now available in a written form. I think the focus on ‘one size fits all’ in our education system, in which we force all to learn to read in the same way and at the same age, has proved very disadvantageous to dyslexic children. In a sense one has two issues: one theoretical, i.e. what’s the underlying brain and cognitive difference; and the other more applied, if dyslexia is a reading disability how do we get dyslexic children to read better? I think people have tried to attack both questions with just one approach. Finding the cause may not actually help us with practice, but forcing children to read earlier and earlier is causing difficulties, not just with reading but also with attentional and behavioural problems. If they’re struggling with something, they’re going to do everything they can to avoid it. That is my key point. As soon as stress and anxiety come into a child’s life, in the school environment, then it forces you onto your fight, flight or freeze responses. The fighting leads to behavioural disruption, the flight leads to truancy, the freeze leads to no learning. None of these is at all satisfactory, so you must avoid causing this stress and catastrophic toxic learning in the first place. This is not difficult to understand, and I cannot understand why we are going in exactly the opposite way with our school system. And this has knock-on effects – the incidence of dyslexia in prisons, for example, is very high. This is a big picture approach, absolutely. People have completely underestimated the costs to society, to schools and to individuals, of school failure for whatever reason. We will save money, in the long term, by doing this in a different way. It’s so widespread… it’s certainly the case that 25 per cent don’t read as well as they should, and reading for them is associated with trauma. It certainly was with me when I was growing up. I still don’t particularly read books now. It’s a learned thing to avoid. I don’t get pleasure from books. You need to be able to read fluently to benefit from books, and most dyslexic adults, even if they read pretty well, don’t read fluently. If it’s not as fast as listening, then sod it! I do rapid reading, so I can do a thousand words a minute if I want. Now you’re just showing off! No, this is a serious point, because I think dyslexics could actually learn to rapid read. Dyslexic people are good at whole-word reading, rather than phonics-based reading. There’s no evidence that phonics-based is better. The basis for rapid reading is being able to identify single words. If you can take a whole sentence in quickly, you don’t even need to look at the individual words. Actually, I’m as close as dammit to dyslexic. My main explanation for the underlying problem is that the cerebellum is not working as well as it should be. The cerebellum is the brain structure that coordinates all of your mental and physical skills. When I first went to school in Sheffield, first day back at school, the teacher asked for a story about what we did over the summer, and I had no idea how to write. I just drew a picture of a boat. I was put with the headmistress every Friday, for phonics-based support. I hated going. She would say ‘C-A-T spells cat’, and I would think, ‘Well alright then, but to my mind C-A-T spells C-A-T. Nothing like cat.’ I just couldn’t do it. It made no sense to me at all. I persevered, and got to the stage where I could read whole words, I didn’t need to bother with this ‘C-A-T’. For a lot of dyslexic people it’s the other way round, learning to read scaffolds the phonics. I had other difficulties at school – speech, tying my shoelaces, so I showed all of the classic motor coordination issues. When I got to the age of 40 I was supervising my PhD student on a brain-imaging study and she said, ‘Can you just lie in the scanner for a bit while we check everything’s working properly?’, and then she didn’t speak to me for about two weeks, she was terribly worried. I finally asked her, ‘What’s the matter?’, and she said, ‘Well, I think you’re going to be dead soon… your cerebellum appears to be just melting away.’ My cerebellum is shot, basically, which explains why I had all the difficulties. In your book you say that if dyslexic people designed the education system, it would be a much better fit. Can you expand? Yes. I use the analogy of the pit canary – I think dyslexic people are very sensitive to poor-quality education, so they will very quickly pick up any areas that will be difficult for children. People who have succeeded at all stages of education, who are typically those who get to design education, have no insight as to how they got there. The education system should be focusing on getting children to improve their strengths. The first step on the ‘dyslexia journey’ is to get a diagnosis, but not just in terms of weaknesses, in terms of strengths too. The next is to inspire people to develop those strengths. We have successful dyslexic entrepreneurs, scientists, actors, and so on. What I would truly love to have is a 10-minute video from many of these people saying, ‘On the one hand I’m dyslexic, but on the other that allowed me to do this.’ Then of course we hope to get you into a job that suits those strengths, and that you are able to craft that job to work to your strengths rather than your weaknesses. We need to make the whole work environment not just dyslexia friendly, but dyslexia welcoming. It’s turning the whole perception of dyslexia around… we need the captains of industry to say, ‘We need more dyslexic workers in our organisation if we are to keep up with the innovators’. So how do we spread the word, how do we get to these company bosses? I think one of my key insights in writing the book was that if you’re trying to persuade bosses they have an untapped resource, then you need to see it from their perspective. What are the problems of a 21st-century boss? I was influenced by Neil Rackham, who says, ‘First understand the situation of the person you are trying to sell something to.’ Imagine if you said to company bosses that what they really need is to be more creative, do things differently, and that they have the 10 per cent of more creative people in their workforce already – they just need to put them on their talent management system – they would be amazed. And that just is the truth. You need to find your dyslexic people and nurture them. How do you strike a balance between disability and strengths when faced with the legal context – the need to define dyslexia as a disability in order to provide assistance? This is a core issue. There’s a statutory requirement, which is based upon weaknesses, and a real-world requirement, which is based on strengths. How do we move from one to the other? I think there’s a complete disjunct in our current system, which has of course been picked up by Julian Elliot, who has been influential in furthering the dyslexia debate. His basic point is that when he was an educational psychologist he had to diagnose a child for dyslexia, and then provide the support, but that he would have provided the support anyway. But I think he’s missed the point – he should be doing the diagnosis to find the strengths, teaching that child in a way that suited that child. That was always the role of an educational psychologist, to bring in some smarts. Yes, it’s important to do a statutory diagnosis, because these are state funds that can be used to support, but we need to find the way the child learns and develop a method that is specifically tailored to their requirements. We’re wasting the expertise of the educational psychologist by just getting them to do a statutory report – there should be a strengths report and a learning report which looks at how we can specifically help. This is so obvious that I cannot understand for a moment why we are not doing it. Because the support isn’t available in schools, and they have to buy it in, it does seem to me that there’s little incentive for the schools and it’s the parents that tend to be pushing for it. I think there’s no doubt that the school system is currently underfunded. There is no additional pot of money that the school gets for diagnosing dyslexia, so if the school is required to buy in extra support, some other area is losing out. This is a catastrophic situation. There are not enough resources. There’s not an easy solution, using any method in the current educational system. That’s why I say that we need to think outside the box, we need more dyslexic people designing the system – we shouldn’t be forcing children to learn so fast, delay the start of formal teaching so that all children have the necessary cognitive development to be able to benefit from it. Fill that extra year with a lot of executive function development, which actually costs nothing and means that rather than failing in their early school life they see school as a place to enjoy, they get out of this toxic cycle. If you can say to the government that delaying the start of formal teaching will not disadvantage anyone and will save you money, then it’s a no-brainer. If you try to find the big picture, it comes up with surprising but obvious solutions. That’s my idea anyway, but that’s because I’m dyslexic! You don’t say that in the book, and that would be nice to know! I see myself as an honorary dyslexic person, and that’s not quite the same is it? Maybe I could do a preface to the book. I think it’s interesting, about the cerebellum. All these issues that I had… I had no idea why the little lad down the road could tie his shoelaces and I couldn’t. My interest in dyslexia was sparked by a PhD student, but then you reflect… a whole bunch of stuff from my early life became clear when I found my cerebellum was shot. Funnily enough, in my teens, my mother got me to do a balance training programme. I had no idea that was what she was doing. I then got into the soccer team, because my coordination got so much better. I didn’t notice it, but the teachers did! That’s the time when your brain is changing… if you can just get this stuff in.